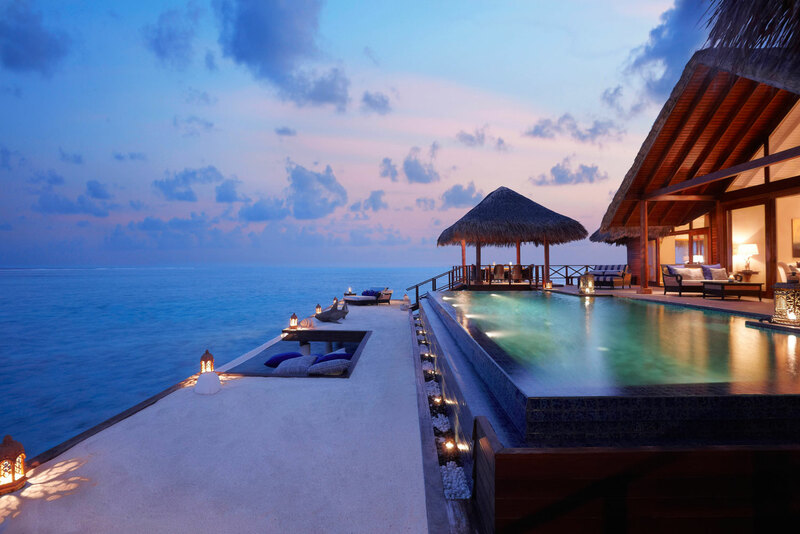 Taj Exotica Resort & Spa in Male, Maldives. Blissfully peaceful, rimmed by sugary sands and crystal-clear waters. Amble along the boardwalk to spot manta rays, bright schools of fish and small reef sharks. Overwater villas are luxury cocoons – stylishly simple, oversize bathrooms, soaking tubs, and walls-of-glass framing turquoise seascapes. The Deep End restaurant, in a floating pavilion, is deeply divine (try the inventive tasting menu). Did you know A ‘Castaway Basket’ can be packed for you to visit nearby island Maadhu Finolhu.